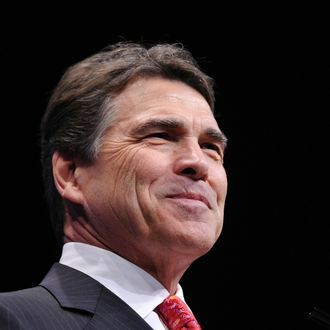 Texas Governor Rick Perry is worried about ISIS. Specifically, he’s worried about ISIS infiltrating the United States through our porous border with Mexico. Nevertheless, reports of suspected or confirmed terrorists coming in from the south are relatively rare. The State Department says it knows of no Hezbollah or Al Qaeda cells in the Western Hemisphere. American officials were quick to dismiss that specific threat from ISIS, too. “I’ve seen no indication that they are coming across the border with Mexico,” a Pentagon spokesman said on CNN. While Perry is at it, he might want to keep a closer eye on Canada though.